Traveling 1,200 miles from Mexico to Oregon without the use of a car seems nearly impossible, right? With the completion of the California Coastal Trail (“The CCT”), it can be done. After the second half of the project is completed, the CCT will allow individuals to hike the entire coast of California. To aid in this worthy endeavor, Martin Resorts has begun a restoration project to improve access to the beach and link the northern Pismo Beach area to the existing walkway behind Pismo Lighthouse Suites and other neighboring hotels, which will then lead down stairs to the beach near the Pismo Pier. 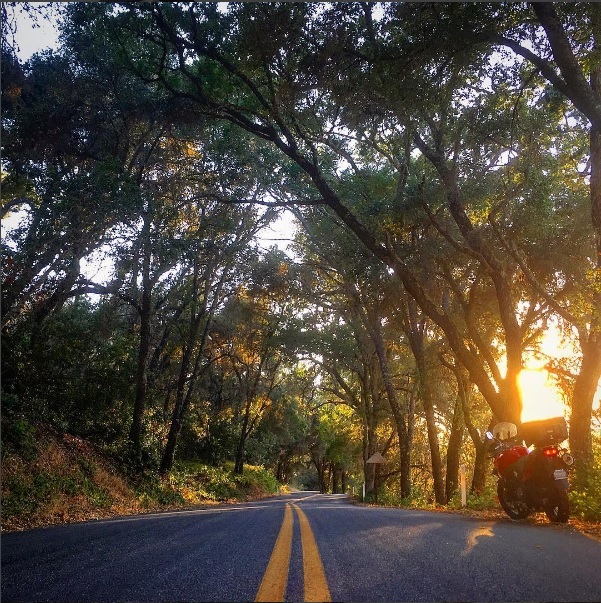 Inspired by this project, we’d like to challenge you to leave your car at home for the day and explore our area through the Central Coast’s abundance of beautiful hiking and biking trails and convenient public transportation. Next time your car is in the shop, don’t worry—we’ve outlined a perfect day of activities on the Central Coast that can be done with minimal use of a set of four wheels. Every adventure starts with one thing—a hearty breakfast. 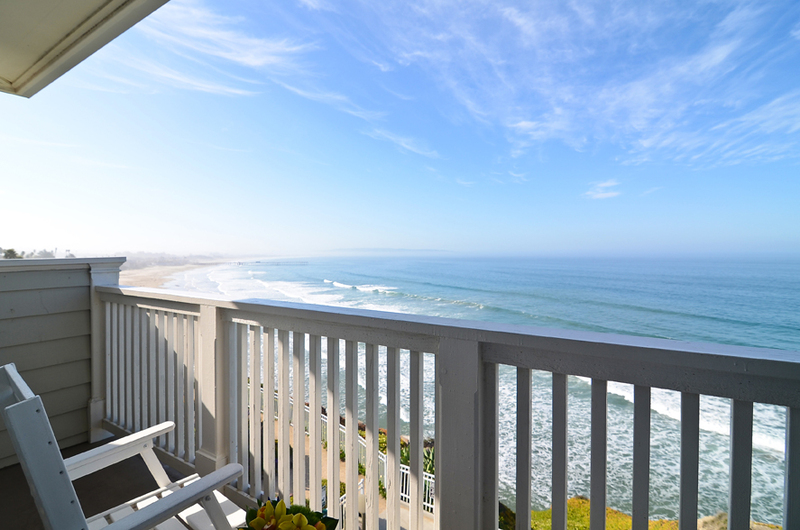 Begin your morning with hot eggs and bacon at the complimentary continental breakfast offered during your overnight stay at Pismo Lighthouse Suites. 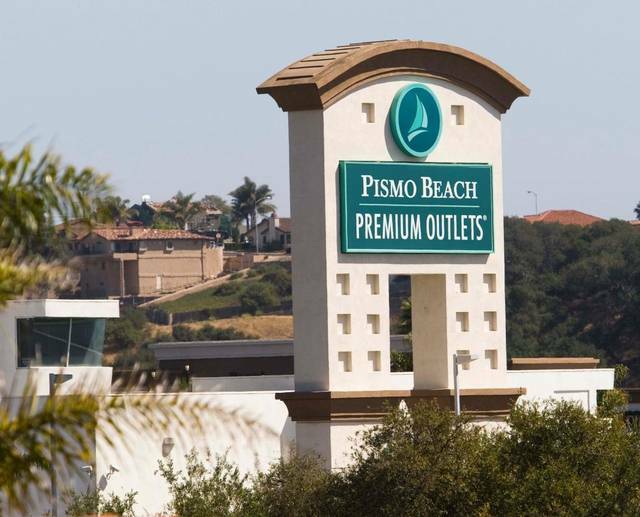 After breakfast, hop in your car for a one-mile drive to the Pismo Beach Premium Outlets. This is where you’ll be parting ways with your vehicle for the day, so make sure you don’t leave anything behind! If you forgot a sweater, pop into one of the 38 factory outlet stores to pick one out. The Avila Beach Trolley is an amazing free service that will get you from the Pismo Outlets to downtown Avila in less than 20 minutes. The stop you want is Avila Beach Drive at 1st Street, located at the stoplight, near the golf course. It’s easy to get lost in the panoramic views of the Pacific Ocean, but pay attention so you don’t miss your stop! Your trolley will conveniently drop you off on the corner of 1st Street, where you will also find access to the Bob Jones Trail. If you want to bike this level trail, visit the Landing Building in downtown Avila and rent a bike from Wally’s Bike Rental. 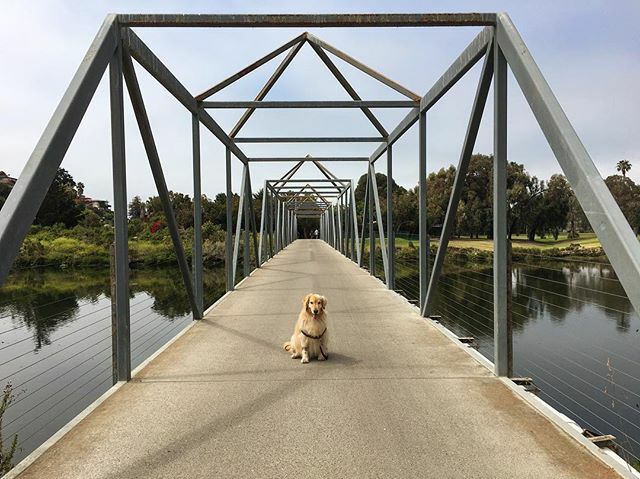 This “City to Sea” trail is perfect for the entire family to explore on foot, on wheels, or on skates! Enjoy lush scenery and cool shade provided by beautiful oak trees as you wander down this five-mile round-trip trail. After you’ve completed the Bob Jones Trail and you’ve looped back around to downtown Avila Beach, stroll down the promenade past Avila Lighthouse Suites and grab a bite to eat to satisfy the hunger that you worked up on your hike. Then take your favorite snack down to the beach and pick the perfect spot in the sand to rest and soak up some sun. If you stick around long enough on a Friday, make sure to explore the local Farmers Market from 4-8 PM. 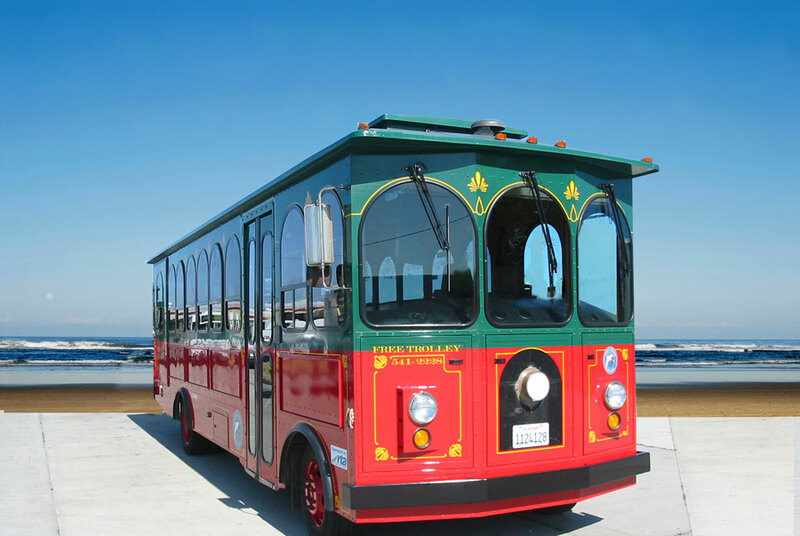 Get on the Avila Beach Trolley at the same place it dropped you off—Avila Beach Drive at 1st Street. Roll down the window and feel the coastal breeze against your face on your way back to the Pismo Beach Premium Outlets where you left your car. 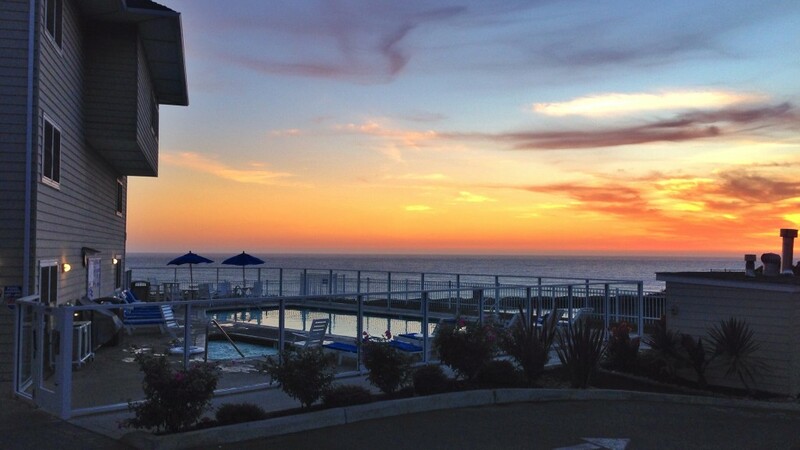 Finally finished with your fun-filled day, unwind and watch the sun set over the Pacific at the oceanfront heated pool and Jacuzzi at Pismo Lighthouse Suites. After a day like this, you might find that not using your car is less stressful, less harmful to our environment, and provides more opportunities to make meaningful memories with your family. 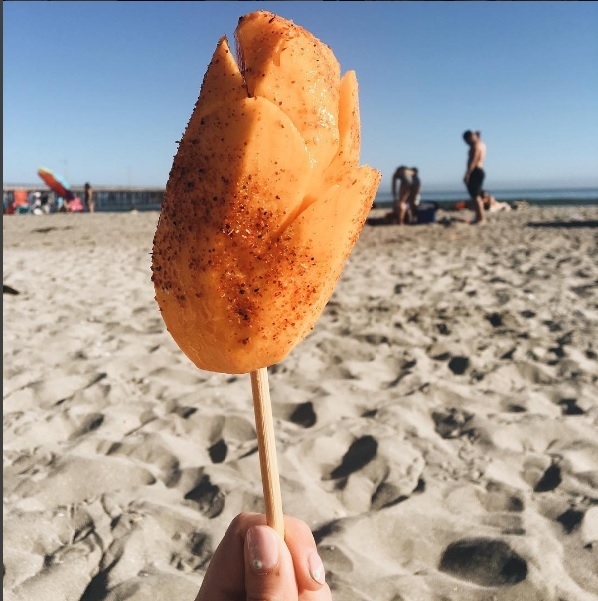 Keep an eye out for updates on the California Coastal Trail project and next time you stay with us you could be walking from Pismo Beach all the way to Avila Beach!